Looks really good! Appears to be sour cream on top-(never saw sour cream on meat before, that I remember, except tacos/Mexican dishes). Not sure there’s any sour cream there. Looks like a poached egg. I think it’s poached egg on top and not sour cream. Are the little green sprigs alfalfa sprouts? Looks like there’s mushrooms in there. Reminds me of St Paddy’s Day fare somewhat-(corned beef & cabbage). Had a whole discussion with my sister today about corned beef. Decided it wasn’t tasty and perhaps maybe a male thing… but this looks pretty great so I might be swayed.. Perfectly poached egg by the looks of things! Elegant presentation of a classic — corned beef hash, a fried egg, pan-fried potato chunks, topped with what looks like alfalfa sprouts. Yum! You had me at the poached eggs! Awesome Photo. It make you want that. 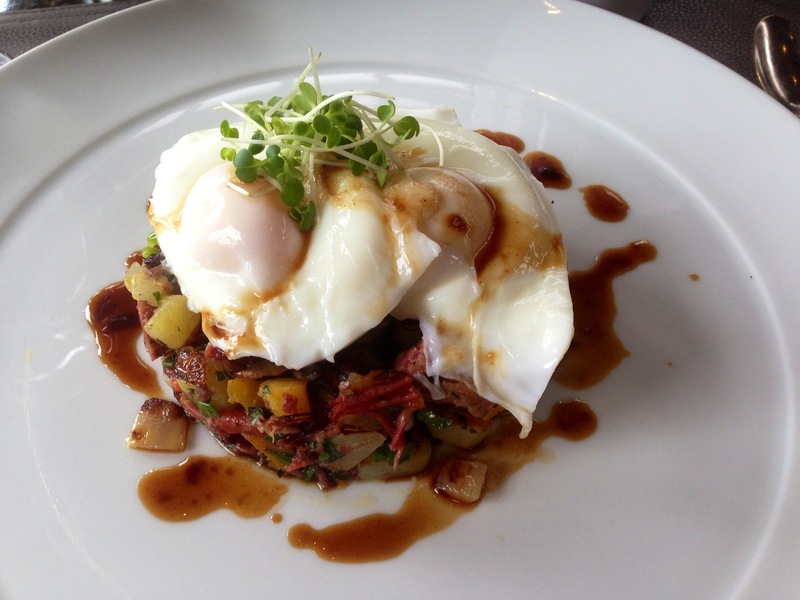 Corned beef #hash tags on Twitter. Muy rico se ve este plato. That looks perfect to me. That, my friend, looks crazy tasty. I don’t know if I’d want poached egg in this, but everything else looks/sounds wonderful! Republicou isso em very crazy. Owwwch, it looks like so delicious!!! My husband would love this, great pic I am hungry now! Mmmmm! Too tepmting for words. MMmmm! Too tempting for words. Looks decidedly yummy! Right up my alley!